Chronic hyperglycemia may cause the development of serious complications such as neuropathy (dysfunctions of the nervous system), and arterial disease (reduced circulation in the arteries that carry blood to the lower limbs, obstructing the proper wound healing). People with neuropathy or arterial disease have a higher risk of development of ulcers and the Diabetic Foot complication. The Diabetic Foot is one of the most common complications of diabetes and consists of nervous and circulatory problems. The foot of a person with diabetes in a early stage of development of this complication shows already dryness and micro-lesions. 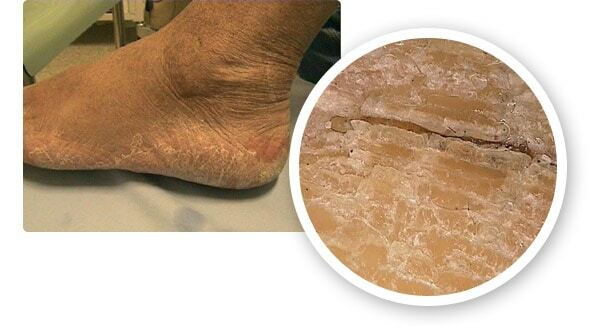 Moving forward, it could develop deep ulcers with a high risk of infections, partial/total gangrenes, changes on the foot shape and on the way of walking. 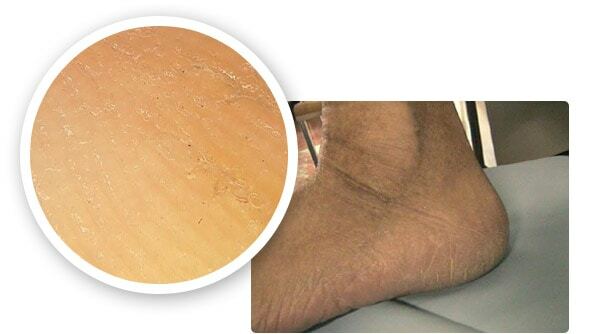 Moreover, the Diabetic Foot can also cause the amputation of some parts of the lower limbs or the entire of the foot. 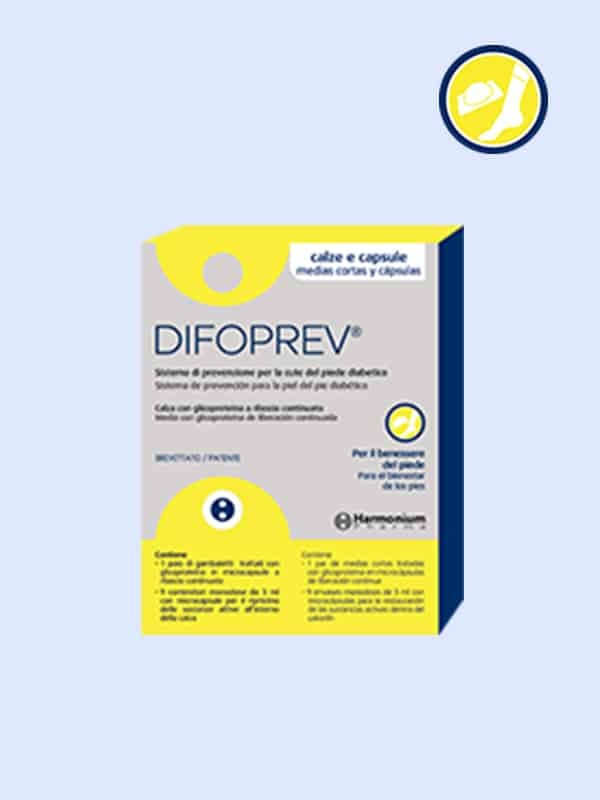 DIFOPREV® is a ready and easy to use system, designed speciﬁcally for the prevention of the Diabetic Foot complication. It consists of a starter kit including a pair of rechargeable socks and associated refill capsules for a monthly treatment. In addition, monthly refill capsules are also available. The socks release the active ingredient over 72 hors (3 days) and can be washed at any time during that period without any loss of efﬁcacy. After 3 days, they need to be recharged by using a reﬁll capsule, dissolve it in some water and soak the socks for 30 minutes . And so on. The application should be repeated 2-6 times a year, according to functional skin conditions and following a professional advice. DIFOPREV® unique nanotechnology is based on Meryl® high quality microﬁbre socks and speciﬁc reﬁll capsules to replenish the socks with the active ingredients. This revolutionary technology consists of textiles loaded with a molecular ﬁlm containing microencapsulated active components (a glycoprotein biotechnologically extracted from speciﬁc bacteria). The process guarantees a gradual release of these ingredients through the contact of the sock with the skin allowing a higher and deeper hydration during a longer period of time compared to any other topical solution. Thanks to the increase of Elastin and Collagen type I and IV Difoprev® restores skin elasticity and integrity and repairs superﬁcial micro-lesions (potential trigger for infections) while preserving a good physiological state of the skin. Applicazione delle nanotecnologie Alla gestione delle condizioni pre-ulcerative nel piede diabetico Neuropatico – E. Banchellini, L. Ambrosini, et al. – Poster session – 21° Congresso Nazionale SID – Milano, 17-20 Maggio 2006.